WHY BUY NEW ROLLERS ? Printers Superstore started life in the UK in 1996 supplying rollers and spare parts almost exclusively to the trade. Since then many of our products have become market leaders - not just at home, but abroad too. Our worldwide sales and sourcing network ensures that you receive the best value products all the time. Our commitment to ISO9001:2000 means that we operate to the highest levels of service and have the highest quality products. Simple, because at Printers Superstore our rollers are so competitively priced it doesn’t make sense to get your old rollers recovered. More importantly however the serious benefits of buying new are outlined below..
Each roller is manufactured from new. A brand new core is covered and manufactured to exacting standards and OEM specifications, this ensures CONCENTRICITY. Every time an old roller is recovered there is a greater chance of losing concentricity, simply due to the recovery process. This can lead to problems of ink/water balance and so affect print quality, and ultimately your customer’s print. Rollers are made from calendared sheet and vulcanised in computer controlled dry air and steam injected autoclaves. This method of roller manufacturing is widely accepted as state of the art. Why compromise? 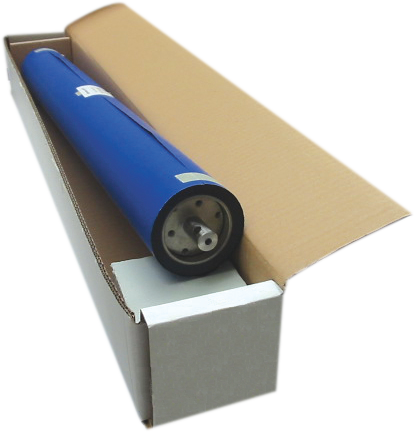 Printers Superstore’s quality rollers ensure concentricity, ensuring quality every time. Boxed and ready. 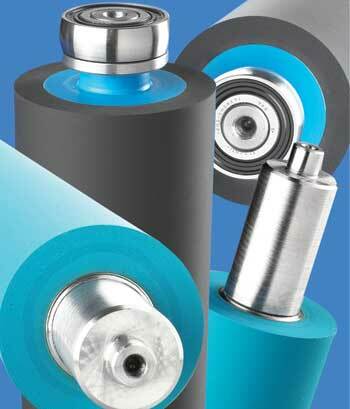 At Printers Superstore we have an extensive range of rollers available immediately off the shelf. Our response time is industry-leading and second to none! Avoid the hassle and expense of returning old worn rollers. Because each of our rollers is new your old rollers are not required back. Quite simply throw your old rollers away! You’ll never need them again. At our prices you won’t think twice.